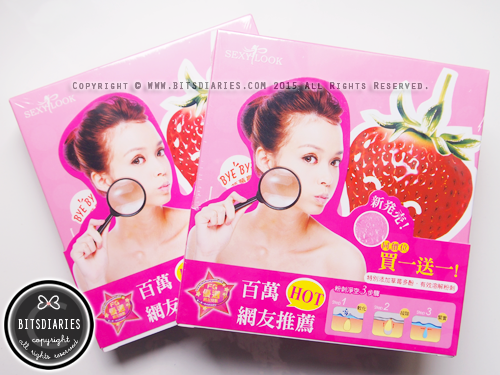 Stand a chance to win "SexyLook Blackhead Pore Cleanser Set"! To enter, you just need to SHARE IT! 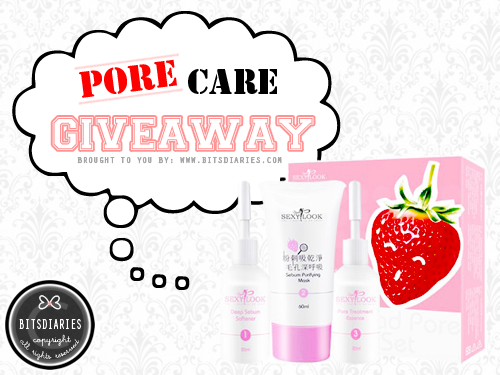 - SHARE this giveaway in your BLOG, FACEBOOK, INSTAGRAM, BLOGLOVIN', GOOGLE+, TWITTER and/or any other SNS platforms. - A SCREENSHOT or URL LINK to prove that you have shared the message. Note: The giveaway entry period starts on 27th October 2015 and ends on 16th November 2015, SGT 10:00 PM. - Entries submitted before or after the Entry Period will be disqualified. - Each participant is only allowed to submit one entry. Repeat entries will be omitted. Submit multiple entries with different accounts will be disqualified too! - Winner will be announced within the next 7 days and will be contacted via email. - BITSDIARIES reserves the right to disqualify any individual for tampering with the entry process; acting in violation of these T&Cs. - BITSDIARIES will not be responsible or liable for any loss or damage of the prizes in the mailing process.